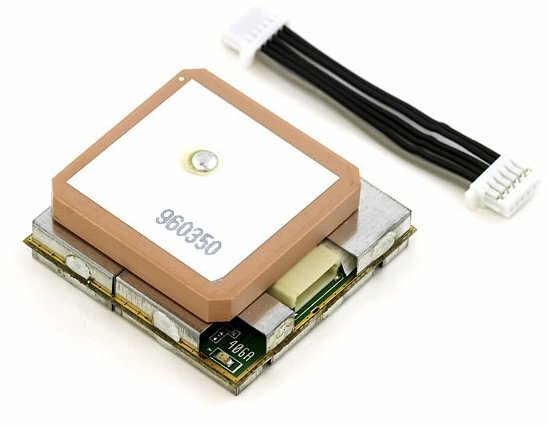 GPS Receivers are great for adding tracking and autopilot functionality to a UAV, robot, radio controlled plane, car or boat. The GPS receiver outputs data in National Marine Electronics Association (NMEA) format The idea of NMEA is to send a line of data called a sentence that is totally self contained and independent from other sentences. The standard sentences have a two letter prefix that defines the device that uses that sentence type. (For gps receivers the prefix is GP.) which is followed by a three letter sequence that defines the sentence contents. In addition NMEA permits hardware manufactures to define their own proprietary sentences for whatever purpose they see fit. All proprietary sentences begin with the letter P and are followed with 3 letters that identifies the manufacturer controlling that sentence. For example a Garmin sentence would start with PGRM and Magellan would begin with PMGN. Each sentence begins with a '$' and ends with a carriage return/line feed sequence and can be no longer than 80 characters of visible text (plus the line terminators). The data is contained within this single line with data items separated by commas. The data itself is just ascii text and may extend over multiple sentences in certain specialized instances but is normally fully contained in one variable length sentence. The data may vary in the amount of precision contained in the message. For example time might be indicated to decimal parts of a second or location may be show with 3 or even 4 digits after the decimal point. Programs that read the data should only use the commas to determine the field boundaries and not depend on column positions. There is a provision for a checksum at the end of each sentence which may or may not be checked by the unit that reads the data. The checksum field consists of a '*' and two hex digits representing an 8 bit exclusive OR of all characters between, but not including, the '$' and '*'. A checksum is required on some sentences.